A hacker is someone who breaks into computers and interferes with the system. A hack is fast, effective and sometimes inelegant, but still achieves the desired result without transforming the system architecture in which it is embedded. 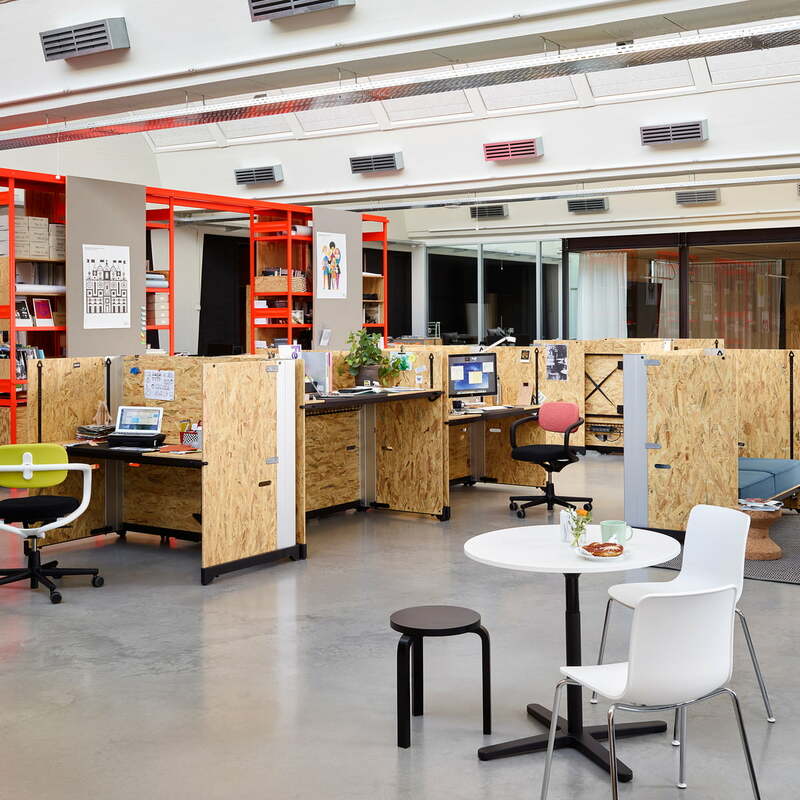 With the table system by Konstantin Grcic, Vitra puts on the market a piece of furniture that can be understood as a ‘hack’ of the office environment. Grcic provides a solution to the typical office table that satisfies the functional and aesthetical needs of modern businesses in an innovative way. At first glance, Hack looks unfinished. 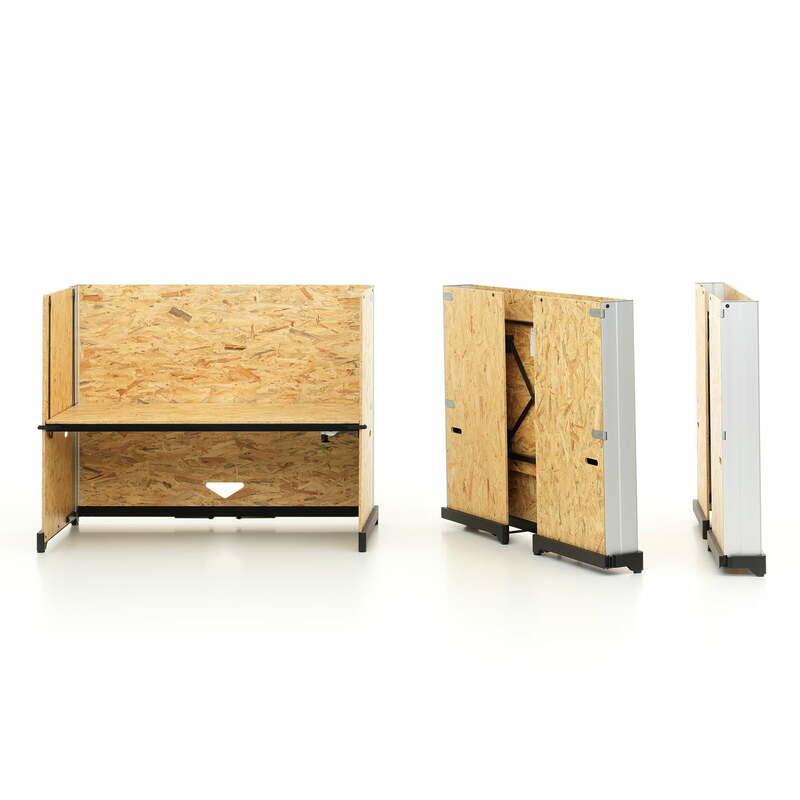 The solid hinges that connect three OSB panels are precisely tooled metal pieces that facilitate Hack’s folding function, while ensuring stability. The table system can be folded into a flat box in no time and is thus space-saving and flexible. 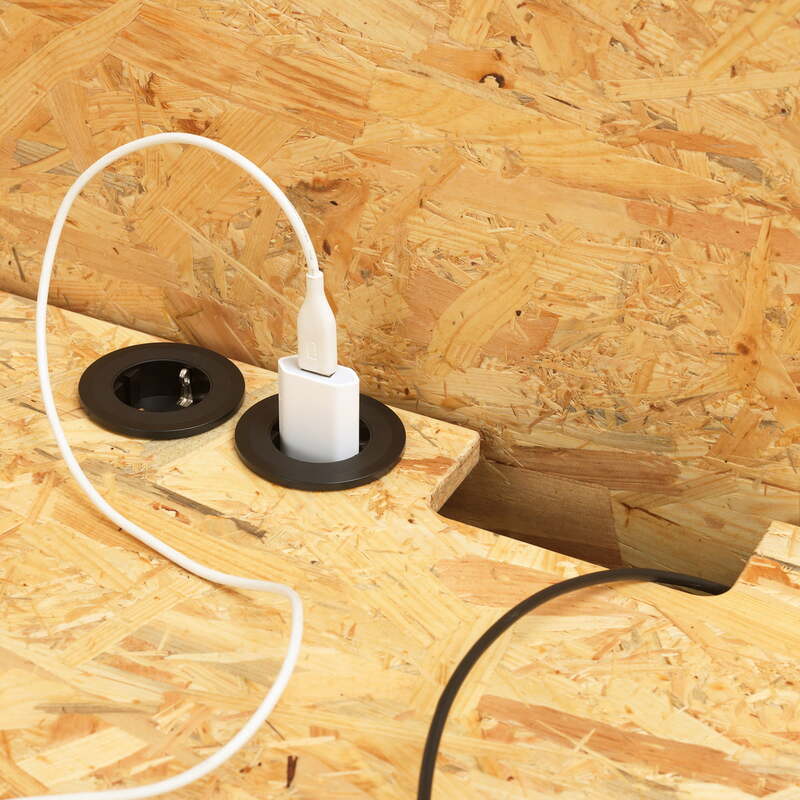 The table top features cutouts and trays for sockets and cables. 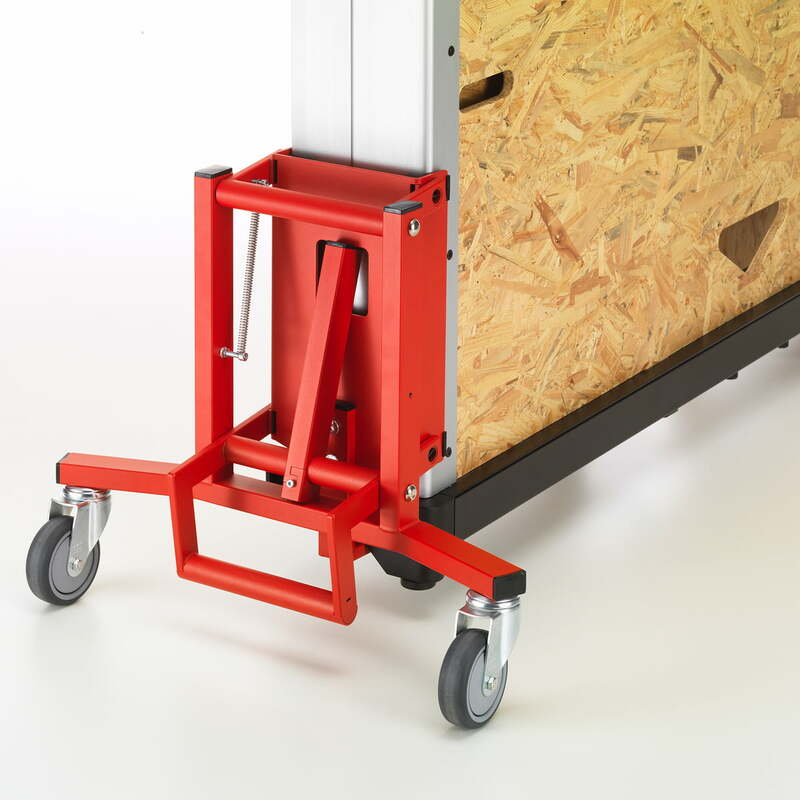 Its height can be manually set and continuously adjusted from 30 to 125 cm with a recessed grip or a crank, thus making it possible to work either sitting down or standing up. In its lowest position, Hack can be outfitted with cushions to use as a sofa. Each Hack unit forms an autonomous element whose flexibility serves to satisfy various needs. 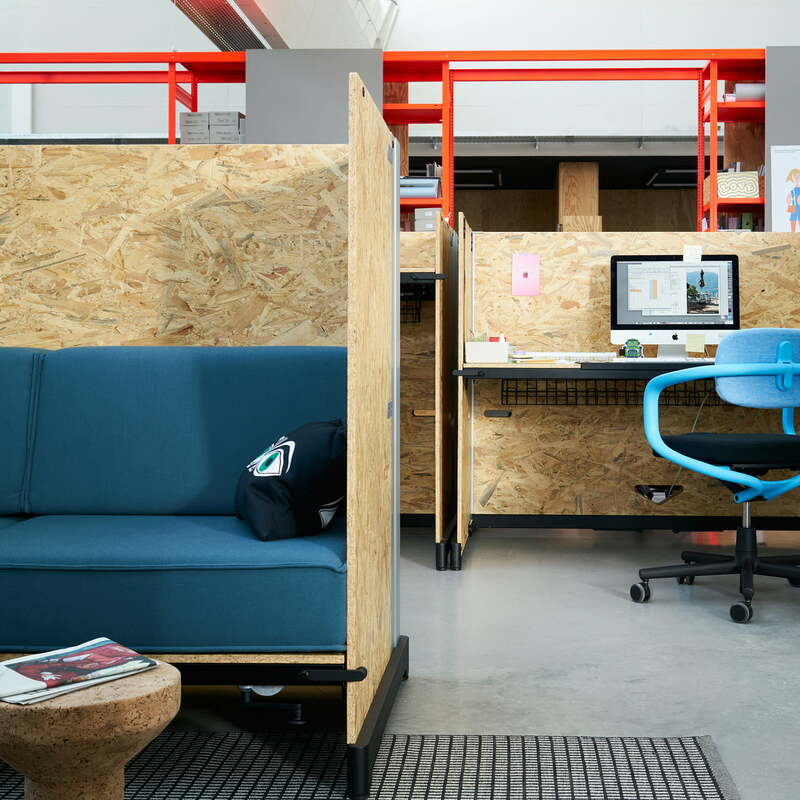 Individually, it is a customisable workspace, whereas two Hack systems can come together as a meeting or a resting niche. Besides function and flexibility, Hack is also ecologically sustainable to use and produce thanks to its manual mechanics. Moreover, the tables can be made in an energy efficient manner with wooden parts that are locally produced and assembled by Vitra using prefabricated metal hardware. 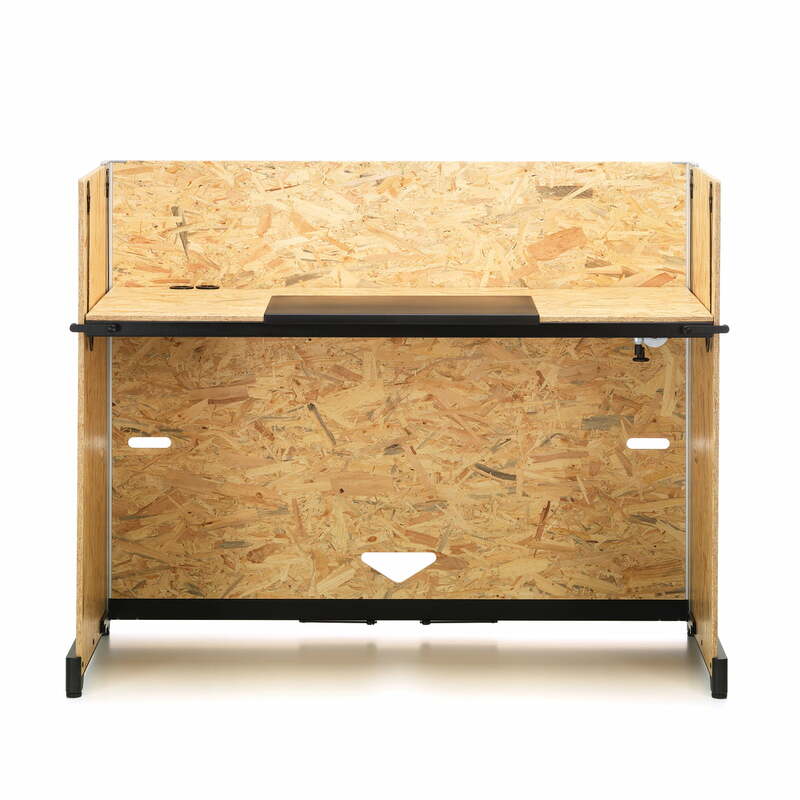 The Hack Desk designed by Konstantin Grcic ist ideal for companies and their employees. The Table System is surprisingly dynamic and flexible. 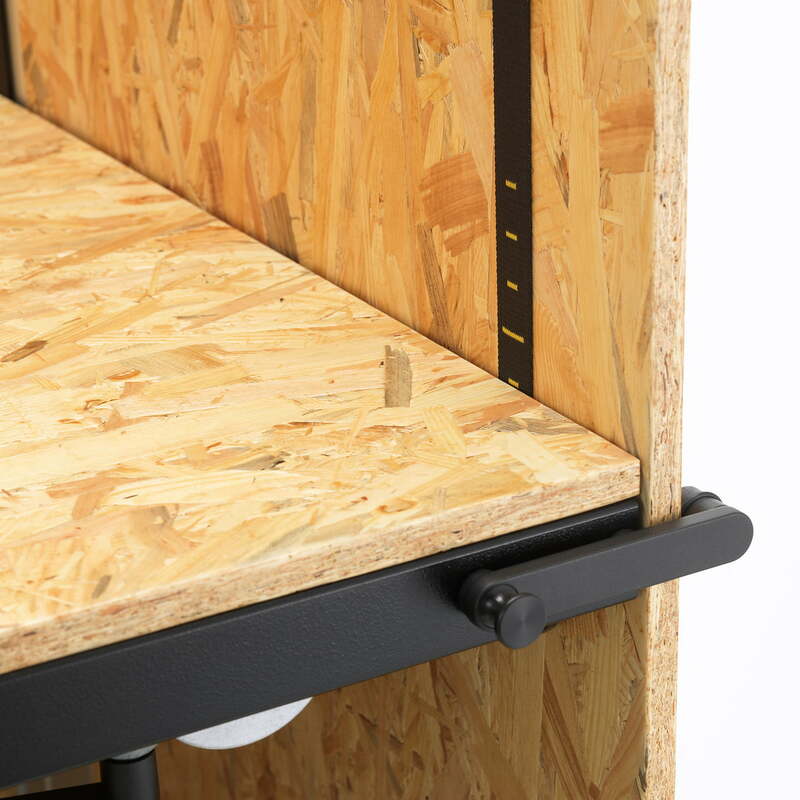 Hack offers some special features: the height can be adjusted, therefore it can be used as a desk, but also as a bench to relax. 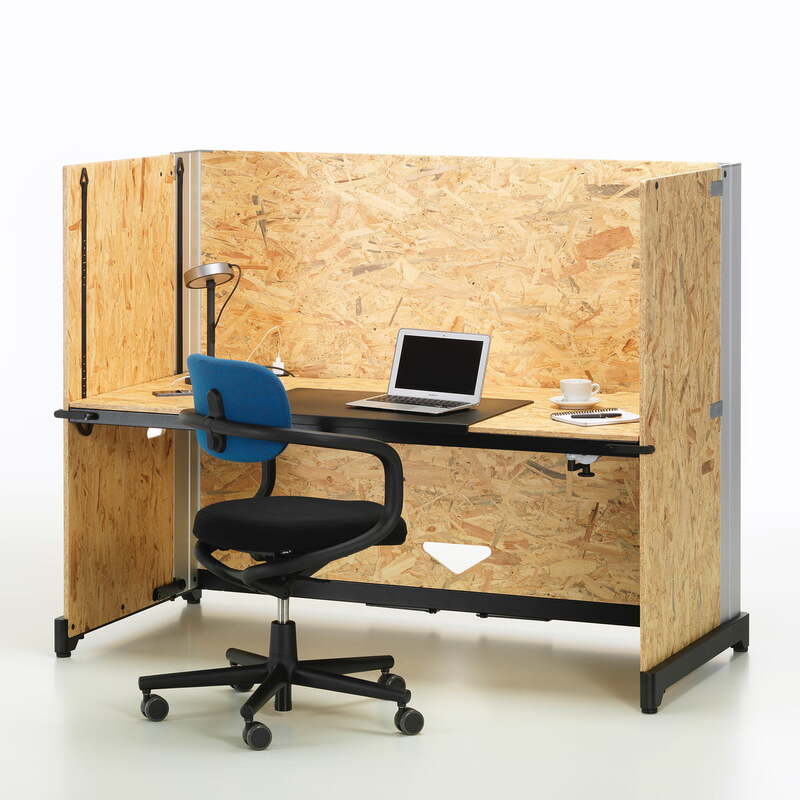 A height adjustable desk to work sitting down or standing up. In a few simple steps, it can also be outfitted with cushions and used as a sofa. 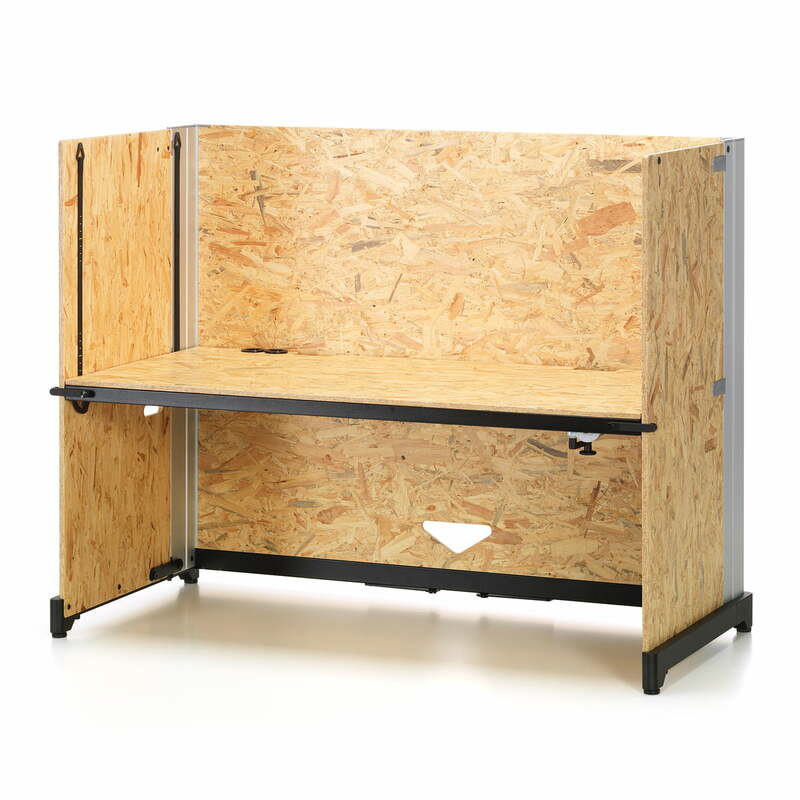 Easily folded into a flat box, the desk disappears almost entirely after work. 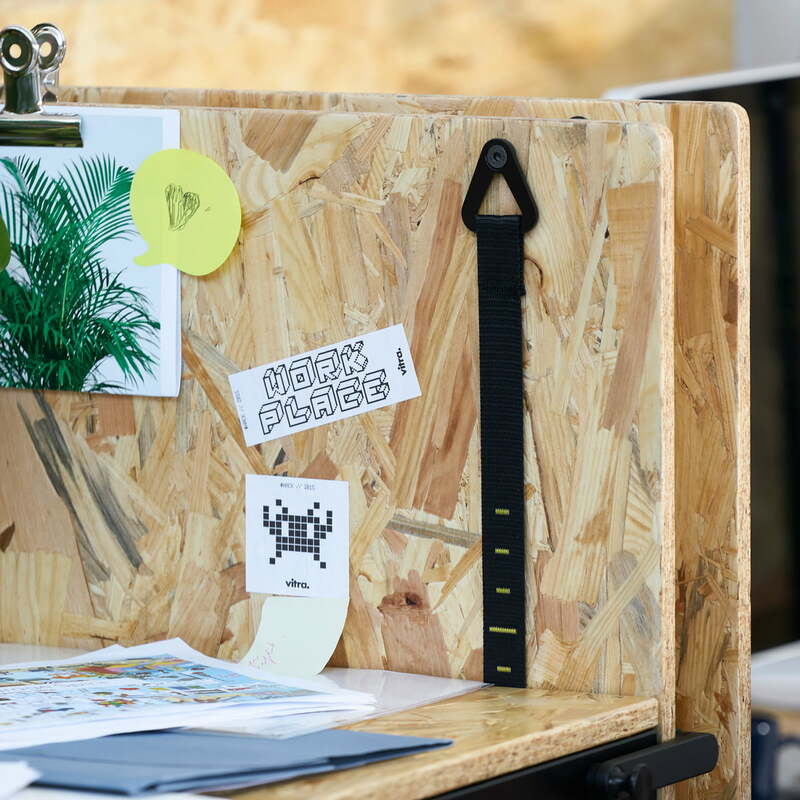 With the Hack Table System it is possible to work either sitting down or standing up. In its lowest position, Hack can be outfitted with cushions to use as a sofa. 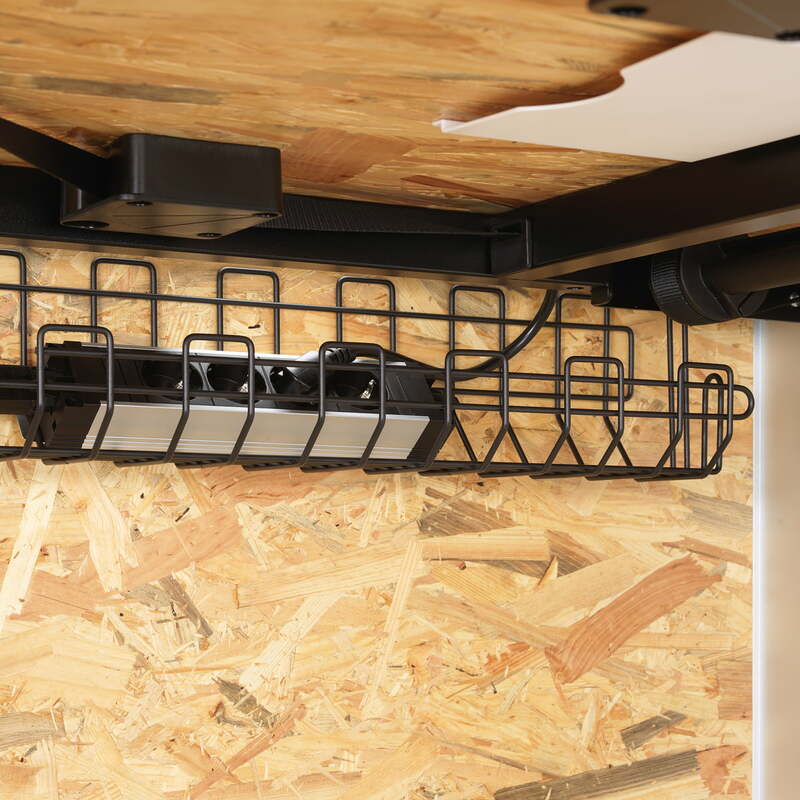 Hack is ecologically sustainable to produce and use thanks to its manual mechanics. Moreover the tables can be made in an energy efficient manner with wooden parts that are locally produced and assembled by Vitra using prefabricated metal hardware.